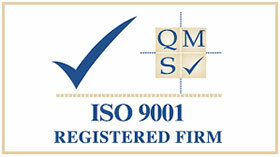 Drawing upon approaching 30 years experience – Resolve Optics has built a strong reputation for specialist lens design and manufacture of smaller production quantities of radiation resistant lenses and optical products on time to strict quality and target price guidelines. 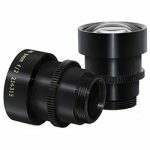 All optical elements within Resolve Optics radiation resistant (Non Browning) lens designs are made using cerium oxide doped glass or synthetic silica enabling them to withstand radiation doses of up to 100,000,000 rads and temperatures up to 55°C without discoloration or degradation of performance. All Resolve Optics radiation resistant lenses provide high image resolution and minimum geometric distortion from 400 to 750nm. While Resolve Optics has extensive experience of supplying fixed focus and zoom radiation resistant lenses for applications in Nuclear reprocessing and power generation – today our expertise is helping organisations operating in a growing number of different and interesting applications. In medical research – Resolve Optics radiation resistant lenses form targeting elements in synchrotron radiation therapy machines and also in commercial x-ray instrumentation. In outer space all instrumentation, sensors and cameras are subject to constant bombardment by radiation that will quickly degrade and make inoperative standard optical components. Space borne applications present a challenging environment, subject to radiation, where camera lens servicing or replacement is highly undesirable. Recently NASA selected Resolve Optics to supply them with a selection of high performance, radiation tolerant zoom lenses because of our expertise in this area and willingness to work with them on adapting our standard 3x and 6x non- browning zoom lens designs to be ‘space ready’. The Model 357 provides true HD quality images over an unrivalled 10x zoom range. As the nuclear industry strives to develop better solid state colour CMOS sensors that can withstand higher levels of radiation it has created a demand for high performance radiation resistant lenses able to help fulfil the potential of these sensors. 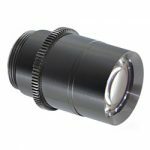 The new Model 346 non-browning lens from Resolve Optics Ltd. has been designed to operate with colour sensors in areas subject to radiation. The Model 346 lens was designed to utilise specially selected glasses with the least amount of yellow tint so that the image would be as natural as possible while still retaining non-browning performance in environments subject to radiation. The 6mm focal length Model 214 delivers high image resolution (f2) and minimal geometric distortion from 400-750nm. Manufactured to the highest standards, from cerium doped glass, these new lenses are able to withstand radiation exposure of up to 100kGy (100,000,000 rads) and temperatures up to 55°C without discoloration. 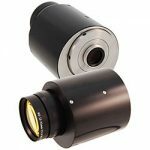 The 313-000 Lens has been specifically design for 2/3-inch image format radiation resistant CID cameras. This lens has an aperture of f/1.4 to enable as much light as possible to be gathered and transmitted to the sensor. to withstand radiation exposure of up to 100kGy (100,000,000 rads) and temperatures up to 55°C without discoloration. 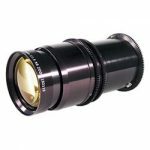 The non-browning zoom lens features a very compact design, zoom, focus and iris control with high resolution and a radiation-resistant non-browning zoom. 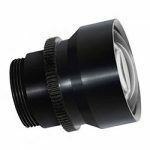 These lenses are highly resistant to radiation and manufactured from 100% radiation hard materials. Browning or discoloration will not occur when the lens is exposed to radiation. 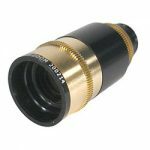 The lens is available in a 1/2 and 2/3” CCD format, and supports D and C-mount. exposed to radiation. It has two types of mounting which are D and C-mounting. Some of its applications include nuclear power stations and waste storage plants. The unit has a length which measures between 8mm to 24mm in diameter. 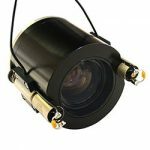 resolution and minimum geometric distortion from 400 to 750nm, and it can image objects from 800 mm to infinity without using add-on adapters. When focused at infinity, the lens achieves high image resolution onaxis at full aperture throughout the zoom range without refocusing. It is designed for use with 1/2- and 2/3-inch CCTV cameras and with Newvicon and Chalnicon tubes. 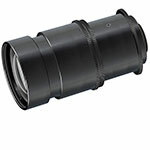 The 192-001 model of zoom lens is built in a compact design with resistance to radiation and browning. It is manufactured from radiatioin proof materials, and a special glass for protection against browning or discoloration. 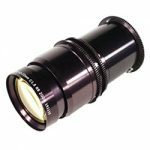 This lens model is designed with zoom, focus, and iris control that can be used in various nuclear applications. The novel design of the Model 290 provides a 6x zoom movement in a very compact form. This enables the lens to image objects from 800mm to infinity without using add-on adapters. When focused at infinity the lens achieves high image resolution on axis at full aperture throughout the zoom range without refocusing. 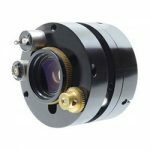 The Model 290 provides high image resolution and minimum geometric distortion from 400 – 750nm.